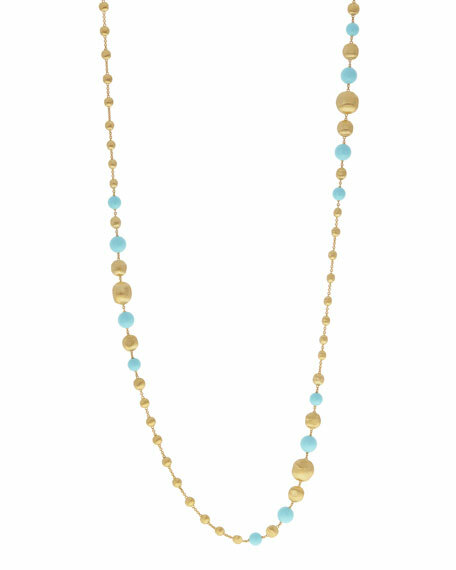 Marco Bicego long beaded necklace from the Africa Collection. Signature hand-engraved 18-karat yellow gold hardware. Multi-size round gold and turquoise bead stations.